Sony has launched 2 new tablets, named S and P. These tablets are based on Android OS and are its key to entering the Indian Tablet market. The tablets have latest software and hardware technologies, which provide great content, usability and accessibility in turn providing a better overall quality and highly engaging entertainment. Sony’s rapid response technologies load the website information efficiently and create a faster browsing experience. Currently, Sony tablet S Wi-Fi is available in the market at a price of 29,990. Its 3G+Wi-Fi variant will be available in the market by mid January next year. Sony has collaborated with various application developers to provide various preloaded apps that keep the user hooked on to the tab. The Sony tablet S (image) is shaped in an innovative and unique wedge shape (similar to a folded magazine) which not only differentiates the product from its competitors but also provides a better and more comfortable handling experience. The wedge shape not only increases the level of grip but also provides a better angle for reading and writing content, and browsing through stuff, both while sitting down or on the move. The tablets respond accurately to the touch, thus increasing the usability and performance while scrolling, dragging, twisting or zooming across the applications. The graphic interface is also very good, thus High Definition videos and games can be played with ease. The Sony tablet P, which has a shape of a Clamshell differentiates the product from all other products and provides a tablets which is easy to carry (wallet design) and use. 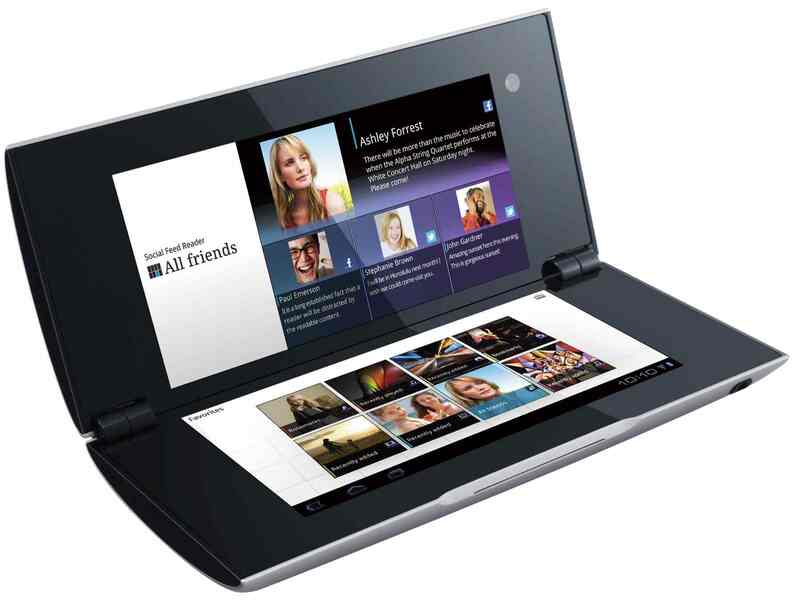 The main aim of this tablet design is optimized entertainment, experience and portability. The dual screen interface of the tablet works as a dual input and output device, through which, users can watch a video on one screen while using the other screen to control it, or use it like a pc to check e-mail on one while using the other screen as a keyboard. Both the tablets are certified by PlayStation™ and come with preloaded original PlayStation games. Crash Bandicoot and Pinball Heroes are games that come preinstalled in the tab. Sony plans to add in more services over the period of time. 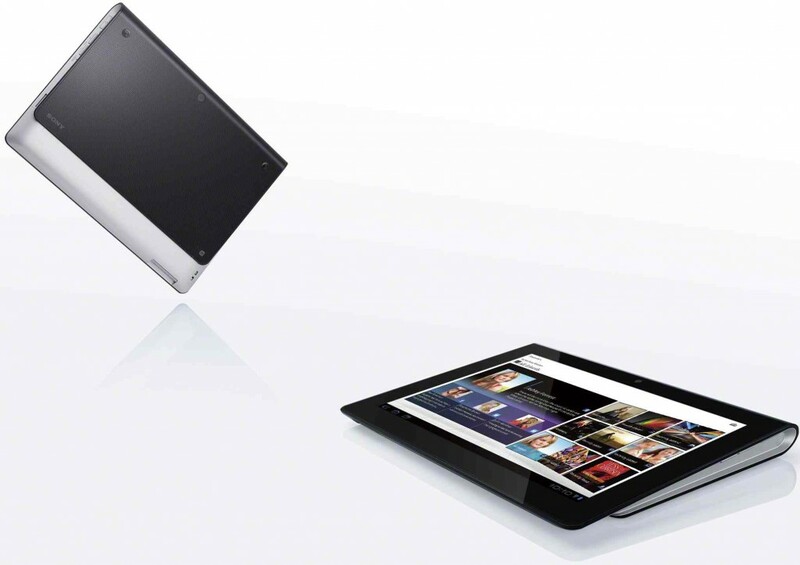 Sony tablets also bank upon the DLNA technology, where you can connect your tablet to the home network and “throw” media across. These tablets wirelessly connects to DLNA compatible devices, including BRAVIA televisions, so users can transfer their personal photos and videos to the big television screen as well as play their music on compatible music systems with the touch of a button. A built-in infrared sensor also allows Sony Tablet S to function as a remote control for any number of devices, including TVs, stereos, and more. Videochaska: An application which offers latest episodes of serials from Sony Entertainment Television and SABtv. Star Player is a premium online video-on-demand service which offers Indian video entertainment on various digital devices. With BollywoodHungama.com, Sony Tablet users will get access to latest Bollywood news, films, hindi songs and movies online. Visit again as the Sony Tablet review will be coming on BuggingWeb soon. If you like this blog please follow me on Twitter @mathurankit88 and like the Facebook page. Hi, interesting blog which let me know about such feature of my Sony S. Thanks for the great work. Just desire to say your article is as surprising. The clearness on your put up is just spectacular and i can suppose you are knowledgeable on this subject. Well with your permission allow me to seize your feed to keep up to date with coming near near post. Thanks one million and please carry on the enjoyable work. Thanks a tonne for such lovely comment. Inspires me a lot!